She has worked with various renowned dentists in Mumbai and Pune. She has done Clinical assistantship in GDC&H Mumbai. She was also exposed to various minor surgical procedures in Sassoon hospital, Pune. She was attached with GSBS medical center, Mumbai for 7 years as a consultant. She has keen interest in smile designing, various cosmetic dental procedures involving veneers, crowns and bridges. 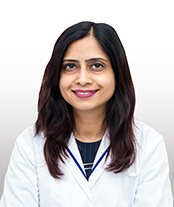 She has the ability to have excellent rapport with patients which generated excellent private practice in Mumbai for above 10 years. She is experienced in dealing with mentally disabled and visually challenged children. She is also trained in full mouth rehabilitation. She has interest towards Cosmetic Dental Restorations & Smile Designing.